Childcare Expo Manchester 2019 has a number of exciting competitions for you to enter and special discounts exclusive to visitors. Have a look at what’s on offer below! This page will be continuously updated between now and the show, so be sure to keep your eyes peeled for more chances to discover new offers and win amazing prizes! 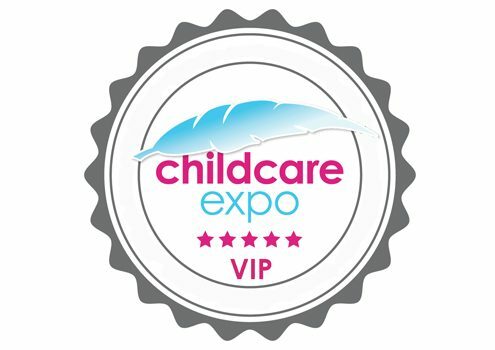 We’re giving you and a friend the chance to WIN access to all areas and a host of VIP benefits at Childcare Expo Manchester on the 14th – 15th June 2019! To enter, simply register for the event using this link. Meet & greet with special guests! If you have already registered for the event, just send us an email with your full name and contact details, and we will add your entry to the list. The winner will be contacted 2 weeks prior to the event. 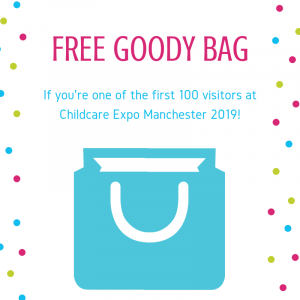 Childcare Expo Manchester opens at 10am on the 14th & 15th June 2019 – be among the first 100 visitors to pick up one of our fantastic free goody bags, packed full of exciting things for you to take back to your setting or school! 1 goody bag per visitor & you must be within the first 100 visitors on either Friday 14th or Saturday 15th June. Register now to be in with a chance of picking one up! 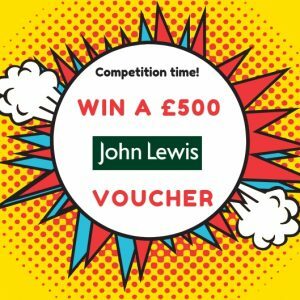 WIN a £500 John Lewis Voucher! Simply invite as many colleagues and contacts as you can through your visitor hub once you’ve registered. The visitor who invites the most – wins! You and your invited contacts must attend Childcare Expo Manchester 2019 for you to be in with a chance of winning. Good luck! *Terms and Conditions: Competition winner will be the visitor who invites the most colleagues and contacts via their personal Childcare Expo visitor hub once they have registered. Everyone invited must attend Childcare Expo Manchester as a visitor to be counted. Competition only open to attending visitors. The winner will be notified by 28th June 2019. The judge’s decision is final and no correspondence will be entered into. The prize is a £500 voucher for John Lewis and there are no alternative prizes available.